This contemporary apartment has a cosy living room with a sofa and TV. The open-plan kitchen is fully equipped with all the necessities and includes a dishwasher, washing machine and breakfast bar with 4 chairs. The apartment has 1 double bedroom with a comfortable double bed and plenty of storage space, as well as a modern en-suite with a walk-in shower with towels and a hairdryer included. This accommodation is located in the Gothic Quarter, which is part of the Old City. 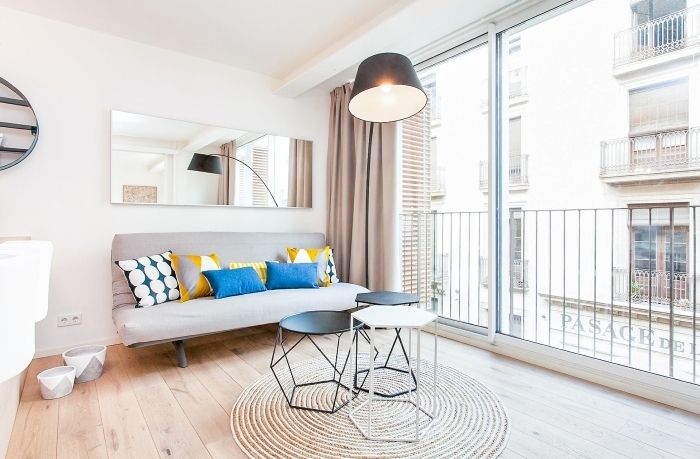 The flat is within walking distance of Port Vell and the Rambla, as well as Universitat Pompeu Fabra. There are lots of bars, restaurants and shops nearby, including Maremagnum shopping centre, which is open 365 days a year. 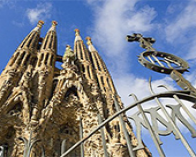 The Barcelona Aquarium is also close to the apartment, so you certainly won’t be short of things to do! You will be well connected to the rest of the city via Drassanes metro station (L3).